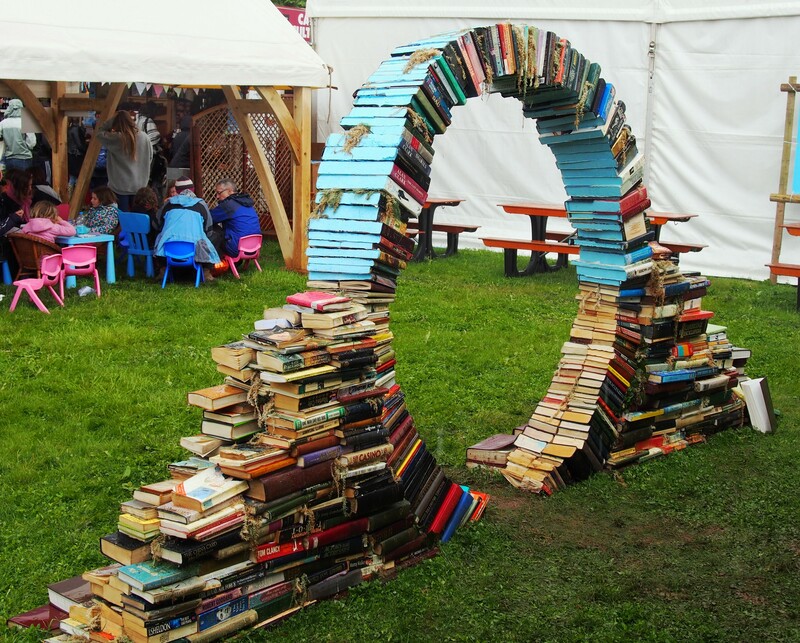 Last Saturday, my husband and I had our second day trip to this year’s Hay Festival of Literature. 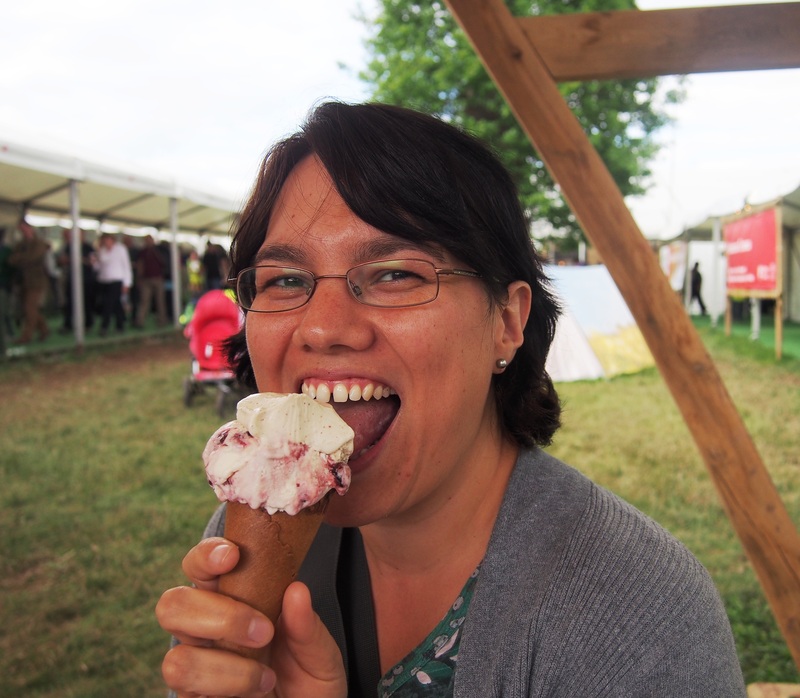 It was a fantastic day packed with diverse talks, famous faces, sunshine and ice cream! 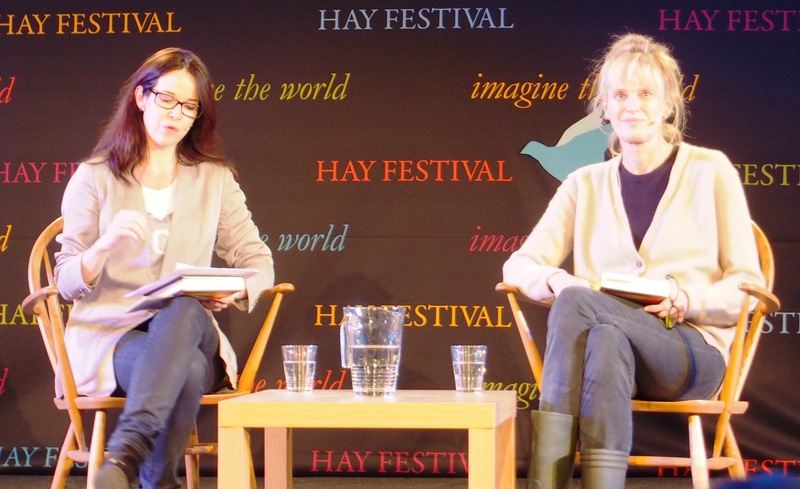 You can read my blog post from my previous trip to Hay here. The first event we went to was probably the best event we’ve seen in the 8 years we’ve been going. It was called ‘Letters Live’ and was a celebration of two collections of letters published by Canongate; To The Letter by Simon Garfield and Letters of Note by Shaun Usher. 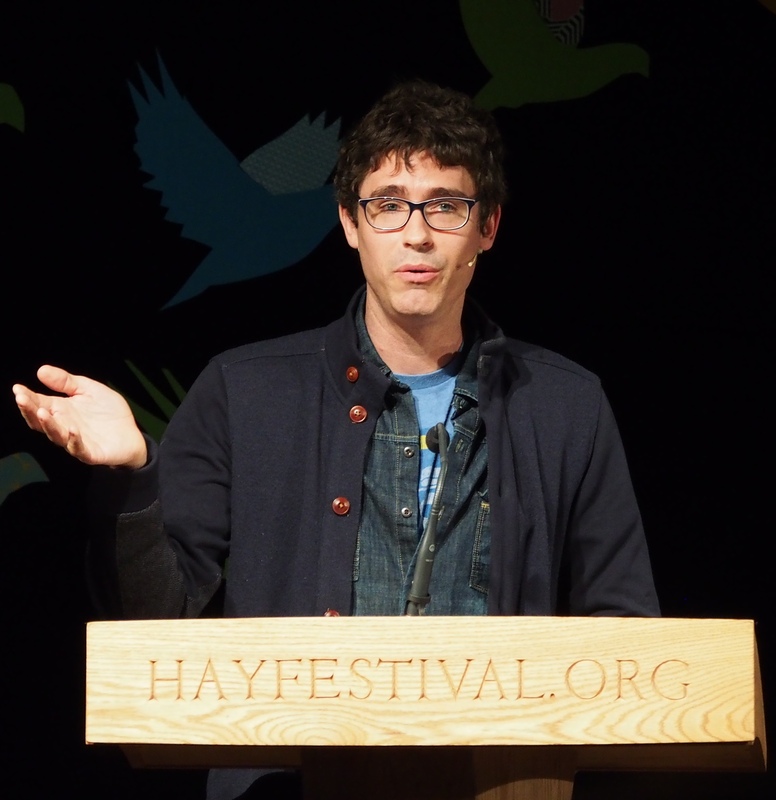 Each author gave a brief description of a letter from their collection which was then read out by a famous person including: Benedict Cumberbatch, Louise Brealey (Molly in Sherlock), Rob Brydon, AC Grayling, Ian McEwan and Rob Brydon. It was fantastic! The letters were touching and funny and brilliantly acted. I particularly enjoyed Cumberbatch and Brealey reading letters between Chris and Bessie, two lovers separated during WWII. Also Brealey’s reading of Virginia Woolf’s suicide note and Cumberbatch’s performance of a letter from Kurt Vonnegut to a school teacher who had burned his books were perfect. There’s a blog with some clips here, watch them, they’re fabulous, Cumberbatch is mesmerising! Also very amusing was seeing his squealing fans as he made his way through the crowds on the way out. Next we went to see Siri Husvedt in conversation with Stephanie Merritt. I’ve not actually read any of her books, despite having owned What I Loved for ages, but it was a very interesting discussion. She’s clearly a very intelligent woman who knows heaps about psychology and art. She had some very pertinent observations on the way female artists and authors are overlooked. 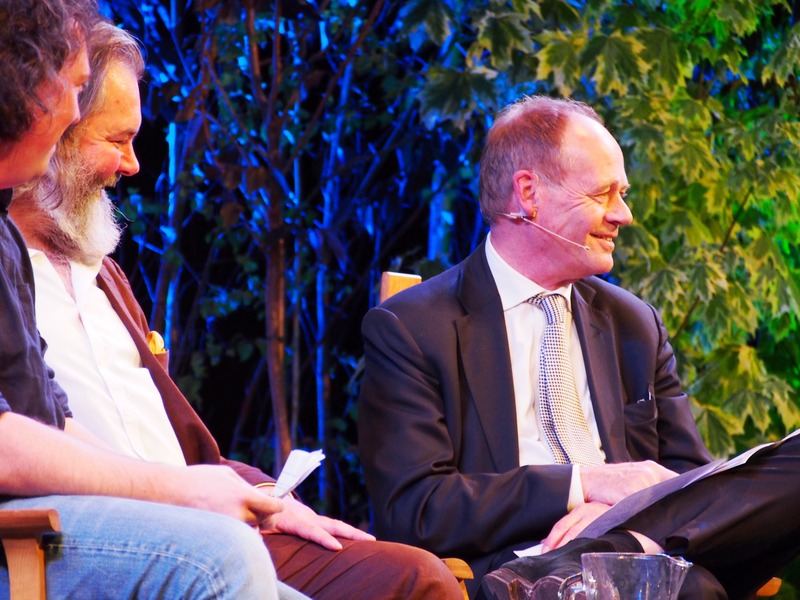 Following that, we went to see three of the creators of TV programme QI, John Lloyd, John Mitchinson and James Harkin, talking about some of the most interesting facts they’ve encountered while doing research for the programme. It was very funny, I was amazed at their ability to recall details about facts and I’m trying to remember some examples now and failing. Except for John Lloyd’s favourite fact which is that everybody expected the Spanish Inquisition because they had to give 30 days notice! Next we went to see American authors Lorrie Moore and Joshua Ferris being interviewed. Unfortunately they were being interviewed by the same man that had done a dire job of moderating Louisa Young and Kamila Shamsie on my previous trip. He asks far too specific questions which don’t engender conversation between the authors. 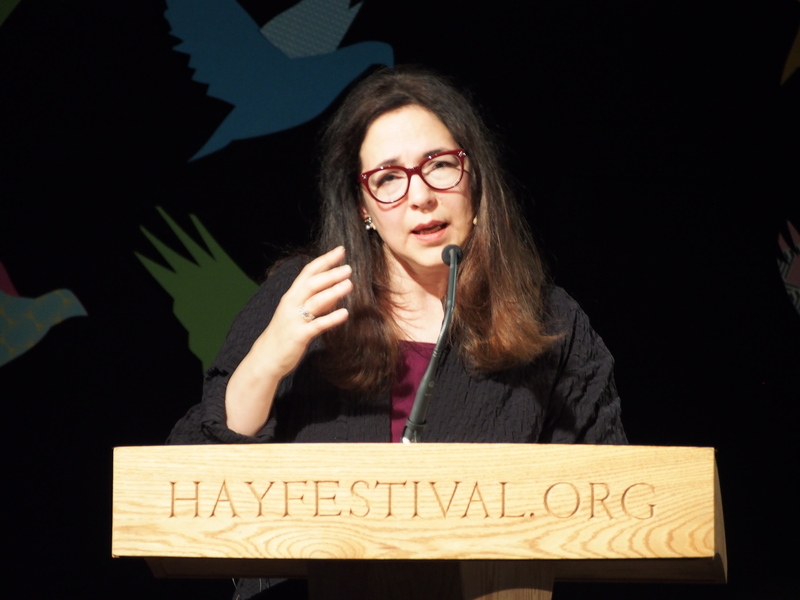 Lorrie Moore seemed particularly non-plussed by him and gave some very curt answers and eventually someone in the audience shouted out that he should open it up to questions from the audience as his questions were falling so flat. In addition, each of the authors did a reading at the beginning of the event and he let Lorrie Moore go on for waaaay too long. I felt bad for Ferris as they barely had any time to talk to him and he seemed very funny. I bought a couple of his books to read. 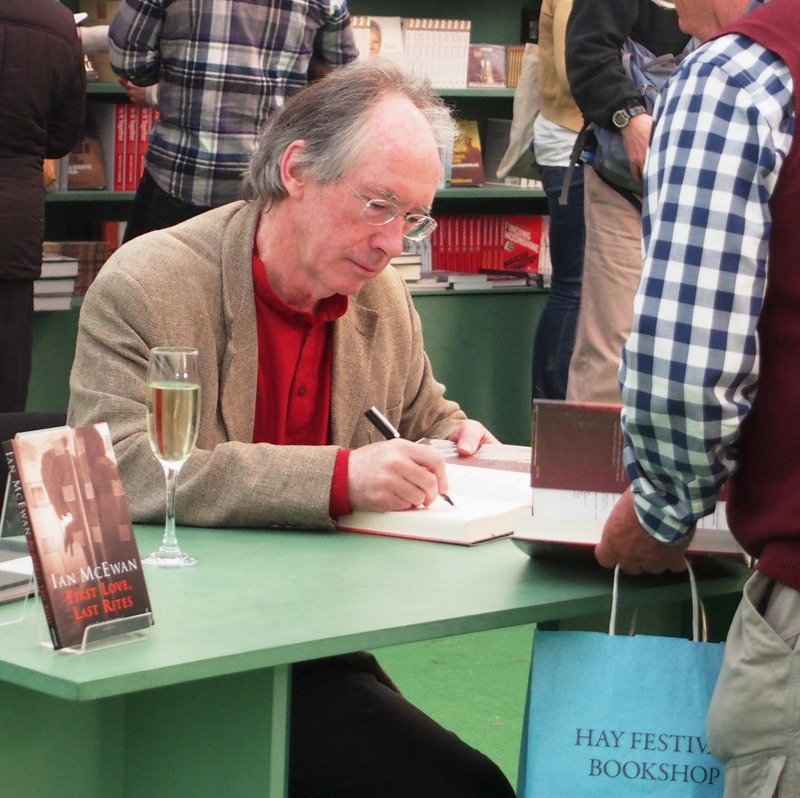 Our next event was Ian McEwan in conversation with a much more professional interviewer about his forthcoming book The Children Act which will be published in September. This showed how much McEwan must love Hay – to come and talk about a book which doesn’t even come out more another three months. The book is about a judge so they had a very interesting conversation about judicial ethics particularly when it comes to decisions about medical treatment of children. Our final event of this year’s festival was a celebration of Dylan Thomas’s poetry. 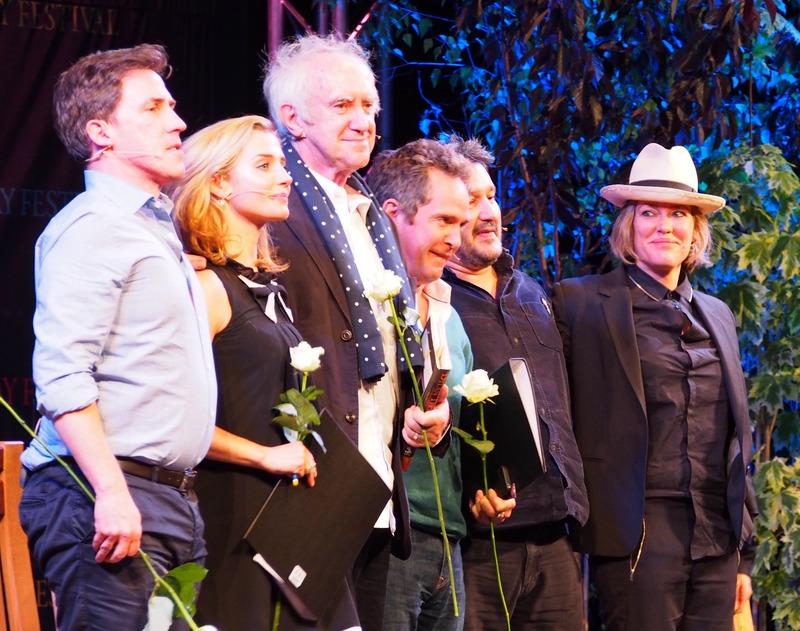 There was a introduction by Peter Florence the creator of the festival and then readings of Thomas’s works by actors Jonathan Pryce, Rob Brydon, Tom Hollander and Lisa Dwan and singer Cerys Matthews who also performed one of Thomas’s poems to music. I’m not a big poetry fan, but I really enjoyed this event, there’s something special about hearing it performed aloud particularly by such high class actors. 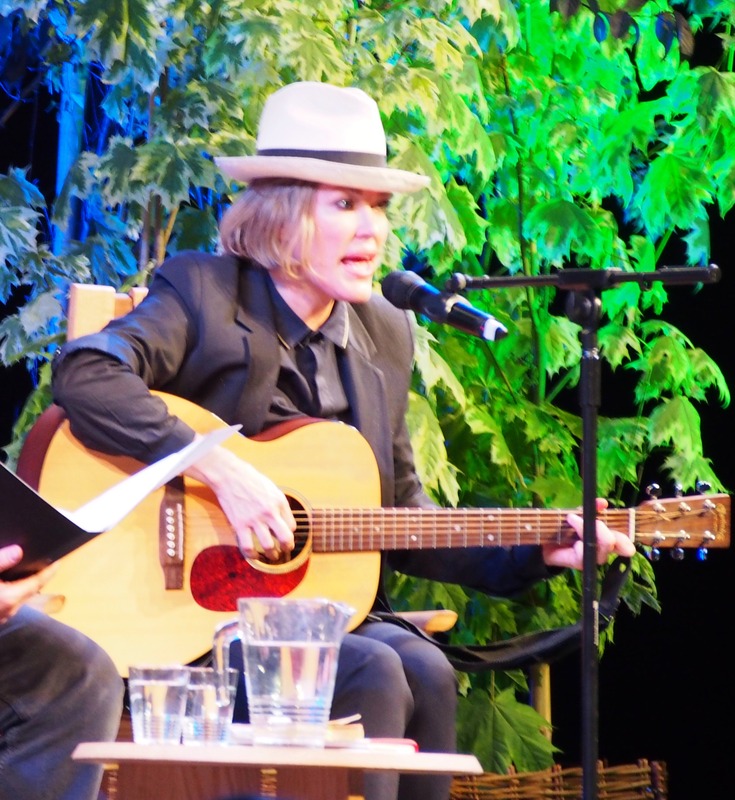 Cerys Matthews’ performance also took Mike and me back to our university days when her band Catatonia was all the rage. What an amazing day out! I enjoyed myself so much I even took a break from my diet and ate a yummy ice cream! I can’t wait until next year’s festival. 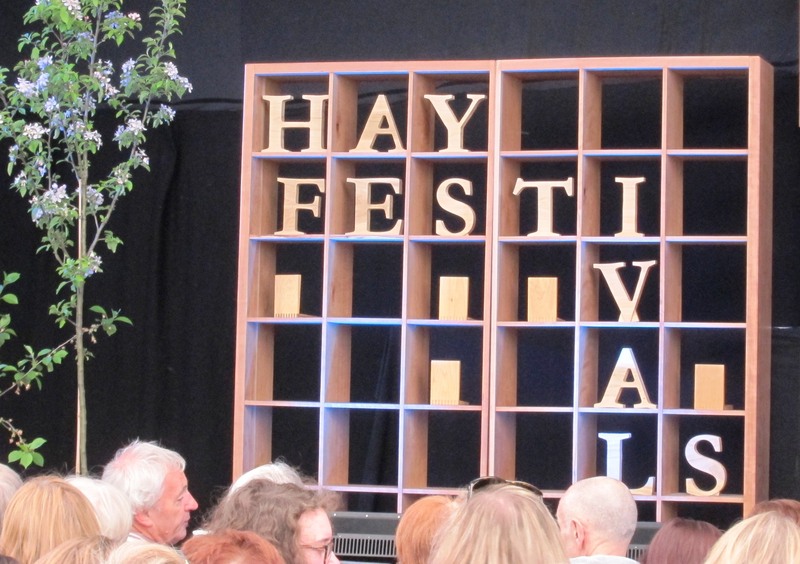 Last Saturday my husband and I drove down to Hay-on-Wye for our annual trip to the wonderful Hay Festival. 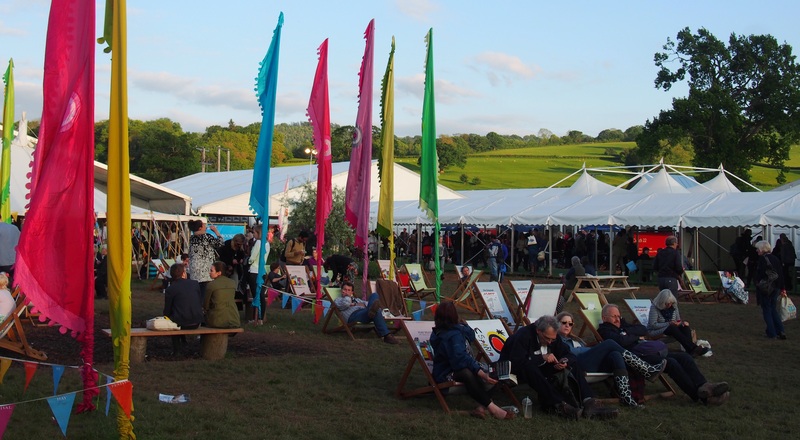 In my experience at Hay the weather is either absolutely beautiful with the sun shining and people sunning themselves in deckchairs or there is torrential rain, huge muddy puddles and posh people wandering round in floral patterned wellies which they only get out for festivals. There is no middle ground. On this occasion, it was the later. We got drenched walking from the car to the festival site. Happily we’ve been before so we knew to wear wellies and quick drying clothes! The rain doesn’t spoil a day at Hay; in fact there’s something quite enchanting about sitting in a tent trying to listen to a literary superstar while the rain hammers down and wind shakes the canvas around you. This year we met up with our friends Olly and Mary. Mary was working in one of the sponsor tents so Olly had accompanied her for a couple of days. I was very jealous because they got free tickets to some of the events! It lovely to see them both although we had such a packed day of talks that I feel likely we barely had a chance to catch up with them properly. Our first event was Nick Harkaway and Zia Haider Rahman. I picked this because I wanted to see Harkaway. I heard him on the radio when his first novel was released a few years ago and found him very funny and had been meaning to read one his books ever since. He was talking about his new novel Tigerman, happily I had received an ARC of this book via NetGalley and had just finished reading it the evening before. Read my review here. Rahman is a debut novelist, I had never heard of him before, in fact I was expecting him to be a woman! The connection between the authors’ work was quite tenuous both have background plot themes of the financial crisis and Afghanistan, although I wouldn’t say these are integral elements of Tigerman. The event would have been more entertaining if it had just been Harkaway, his responses to questions were quick and witty whereas Rahman was a bit ponderous and meandering in his responses. Even so, it was an interesting event. Afterwards I bought a couple of Harkaway’s novels and had them signed at the bookstore. He was wearing a marvelous tiger striped tie to ‘tie-in’ with his book’s title. Next up we went to see Cassandra Clare in conversation with her co-author and friend Sarah Rees Brennan. My poor 37 year old husband having to sit through that! I felt so sorry for him surrounded by teenage girls while two authors gossiped about how hot the characters in their books are; I really should have booked him an alternative event! However, I was quite happy. I enjoyed listening to Cassandra and Sarah read sections from an unpublished story in the Bane Chronicles and seeing their excitement about the final installment of the Mortal Instruments series which is published today. It’s a shame there was a delay on the publishing which meant that there weren’t copies available to buy at Hay. This didn’t stop a million girls queuing to get Clare to sign her other books. The queue was so long that I went to my next event and came back to the bookshop over and hour later and they were still queuing around the corner of the tent. It was crazy! But it’s nice that Clare takes the time to talk to all the girls individually and make it worth the wait. 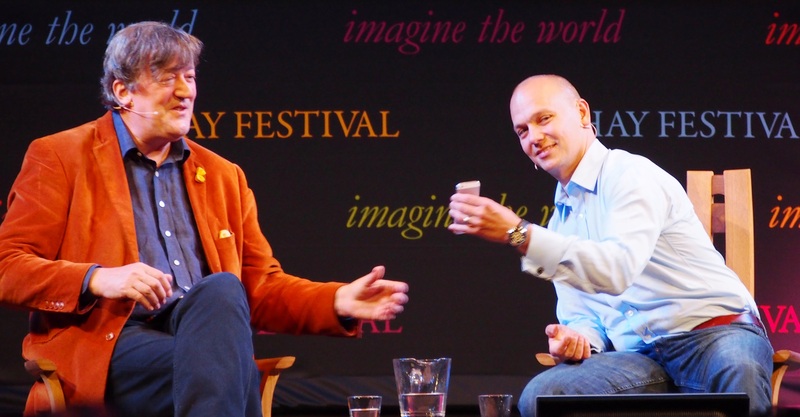 Next we went to see Stephen Fry interviewing Tony Fadell, one of the inventors of the iPod. This was definitely the highlight of the day! It was really fascinating. Fry is really interested in and knowledgeable about technology so they had an engrossing and revealing conversation. After that I went to see Louisa Young and Kamila Shamsie. 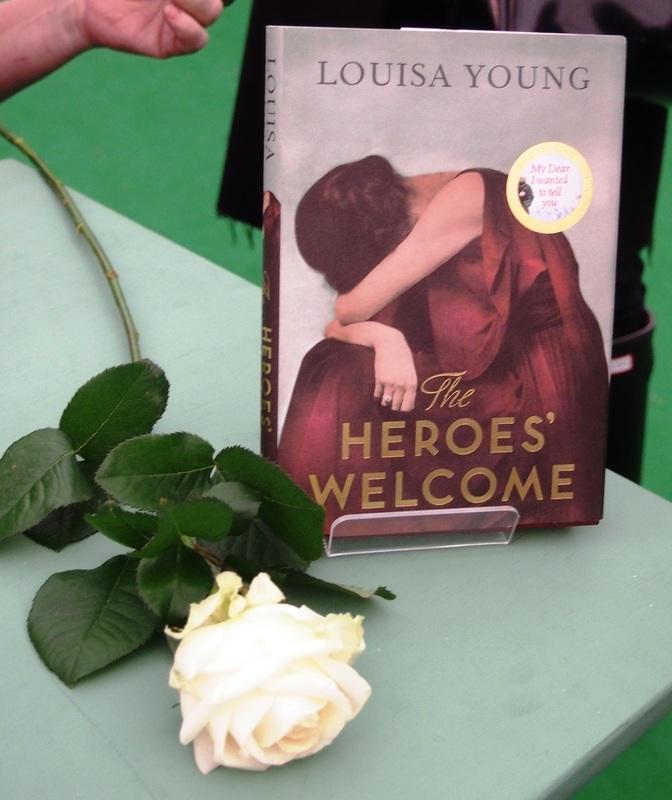 Both have written novels set during World War I. Young’s The Heroes’ Welcome is a sequel to ‘My Dear I Wanted to Tell You’ which I read and enjoyed; and Shamsie’s previous novel was short-listed for the Orange Prize, so I was interested in listening to both of them. I thought the atmosphere was a bit flat at this event, maybe these authors were a bit tired of being on the press tour or they don’t really know each other, but there wasn’t much chemistry between them. Since the Telegraph started sponsoring Hay, there have been more of these events where they pair authors up and it’s a bit like watching a tennis match as they take it in turns to answer questions. These events often don’t work as well as when the focus is on a single author; Hay was definitely better when it was sponsored by The Guardian! Our final event was a second chance to see Stephen Fry. This time he was giving a talk about Shakespeare. I was expecting him to talk about his experiences acting on Broadway in Shakespeare’s plays; however he actually gave a lecture on love in Shakespeare’s poems and plays. He has some surprising a controversial viewpoints. For example, he is convinced that Shakespeare was gay and is certain that it was definitely Shakespeare who wrote the plays (not the Earl of Oxford or Marlowe or any of the other people that conspiracy theorists suggest). He also said that Shakespeare knew that he would still be being read all these years later and that that does not mean he was arrogant, he was just that good. I didn’t agree with that assertion on any level, but it made me think. A fun day out at Hay. Not quite as exciting as some previous years, but we’re going again next Saturday and I’m really looking forward to that and particularly to seeing Tom Hollander, Rob Brydon and Benedict Cumberbatch. Hopefully we’ll get to see the other side of Hay and the sun will be shining! Check back next week to hear about it in part two of my blog. Thanks to NetGalley and Random House for the ARC of this book. 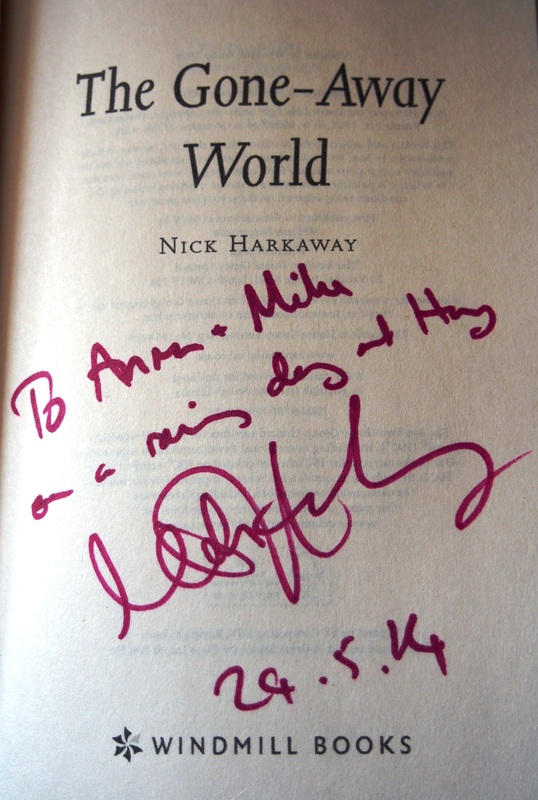 I have been meaning to read a Nick Harkaway book for years, since I heard his first book ‘The Gone Away World’ featured on Simon Mayo’s radio programme, but somehow I have never quite got around to getting a copy. The covers are always so enticing and his latest novel ‘Tigerman’ is no exception. So I was really pleased to receive an advance reading copy via NetGalley, particularly as I was going to see Harkaway talk about this book at the Hay Festival on Saturday. I’m not entirely sure what to make of this novel. It’s a curious mishmash of a very literary style and a comic book thriller plot. I found that the juxtaposition of prose and plot style acted to diminish rather than enhance the other. I think there’s probably a really enjoyable and funny thriller hidden inside this book but it is obscured by too many pages of dense description and melancholic inner monologue. The book follows Sergeant Lester Ferris who is the one remaining British representative on the dying island of Mancreu situated somewhere in the Arabian Sea. Mancreu has been so heavily polluted by a chemical factory that it is scheduled to be destroyed imminently. People are abandoning the island and it has been left with a lawless community and a ‘black fleet’ of corrupt international ships just offshore. After the murder of one of his friends, the sergeant forms an unlikely alliance with a boy whom he wishes to adopt in order to find out why this crime happened. At first this book seems to be the standard fish out of water story, a familiar tale of a solitary white colonial European man living in an exotic location populated with myths, legends and a motley assemblage of larger than life characters. However, halfway through it takes a very unexpected turn into a comic-book style crime-fighting caper when the Sergeant dons a masks and becomes the eponymous ‘Tigerman’ and sets out to combat the dark criminal forces on the island. Just as I was managing to adjust to this storyline and began to find it interesting, there is another almighty plot twist and a ridiculous, unsatisfying ending. I found this book very difficult to get into. The two main characters are described as ‘The Sergeant’ and ‘the boy’ rather than using their names; I found this device to be a barrier to making a connection with the characters. I loved the parts of the book where there is dialogue between Lester and other characters, particularly the American representative, Jed Kershaw. Those scenes are generally very funny; the dialogue is sparkling and witty and is so much more enjoyable than the vast sections of dense description written in a much more serious and contemplative tone. The boy also has a wonderfully amusing way of speaking which is informed by the variety of different international media available to him over the internet. For example, he perpetually describes Lester as ‘full of win’. The parts of this book with dialogue or extreme comic book action hint at the potential this book had to be a funny, enjoyable read, but in the end I found it didn’t quite come together for me. The characters are not engaging enough in the first part of the book to really care about the outcome for them and I never really felt the required connection with ‘the Sergeant’ to enjoy reading his solemn, troubled inner monologue. However, this has not put me off wanting to read Harkaway’s other books. From his session at the Hay Festival, it was obvious that he is a very intelligent and funny man, so I bought his first two books and got them signed after the sessions. I hope that they place more emphasis on the personal and witty style of writing which was in evidence at some points of ‘Tigerman’. My Hay tickets – can’t wait! 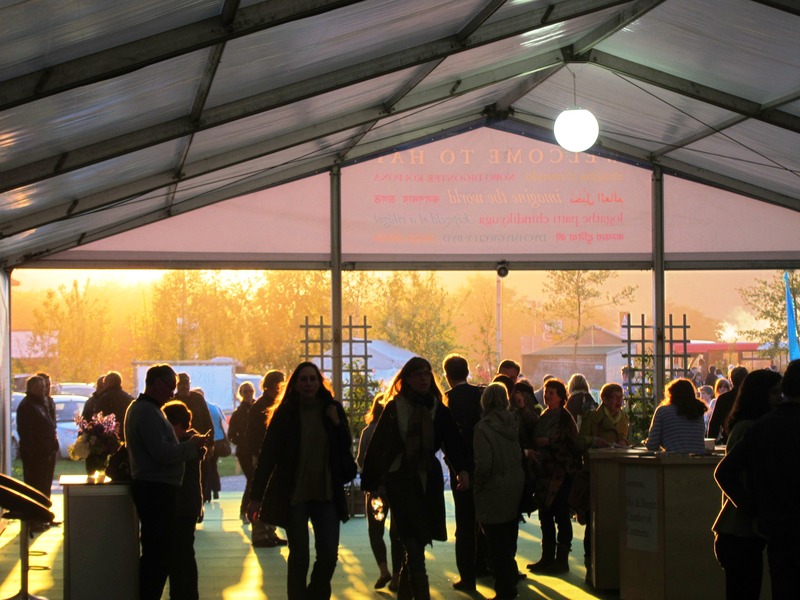 It’s just over a week until the Hay Festival starts and I’m so excited! 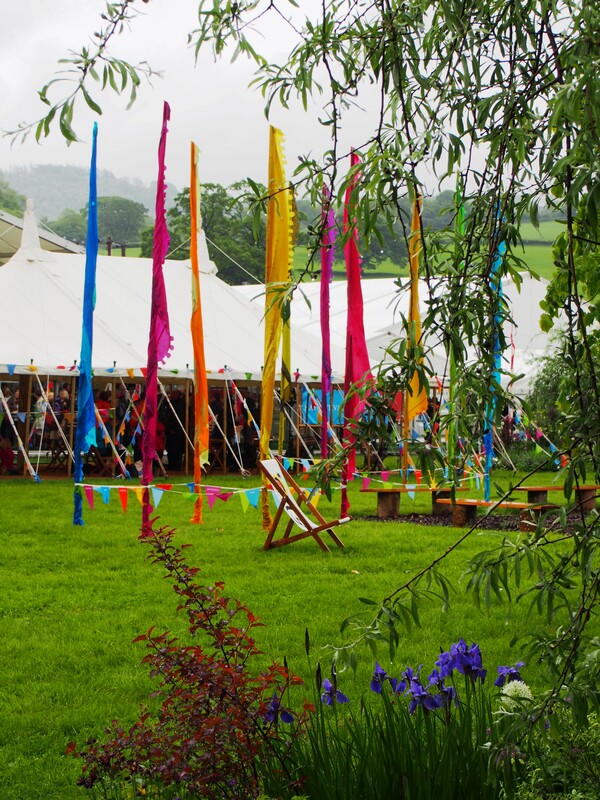 It’s the most wonderful literary festival located in a small town in Wales which is surrounded by rolling green hills and where every other shop is a book shop. Plus, there is never any shortage of fascinating authors to listen to. I always come away with piles of signed books I’ll probably never get around to reading! 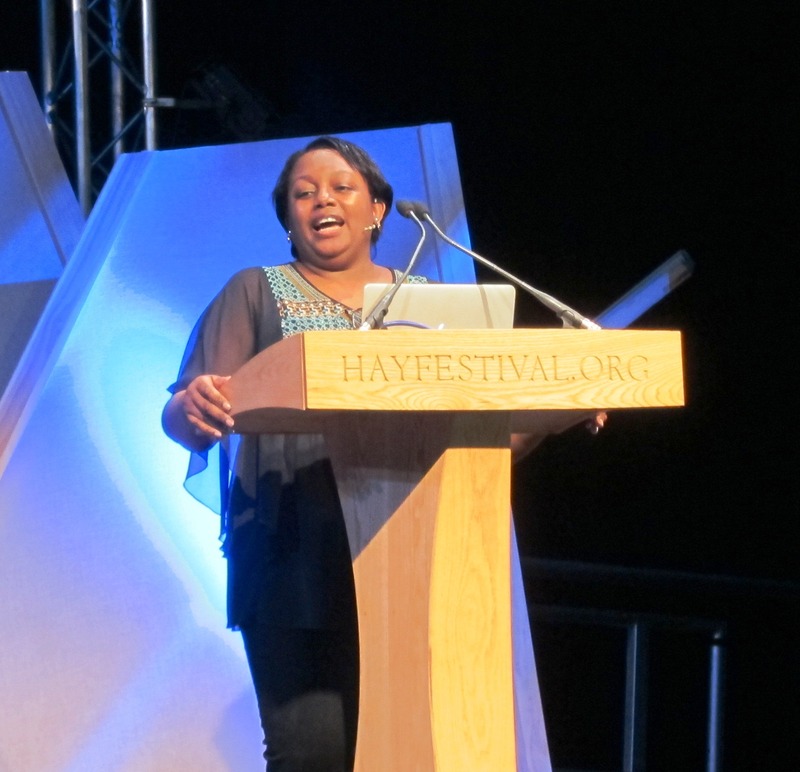 Malorie Blackman – she is absolutely the loveliest person you will ever meet and so inspiring. 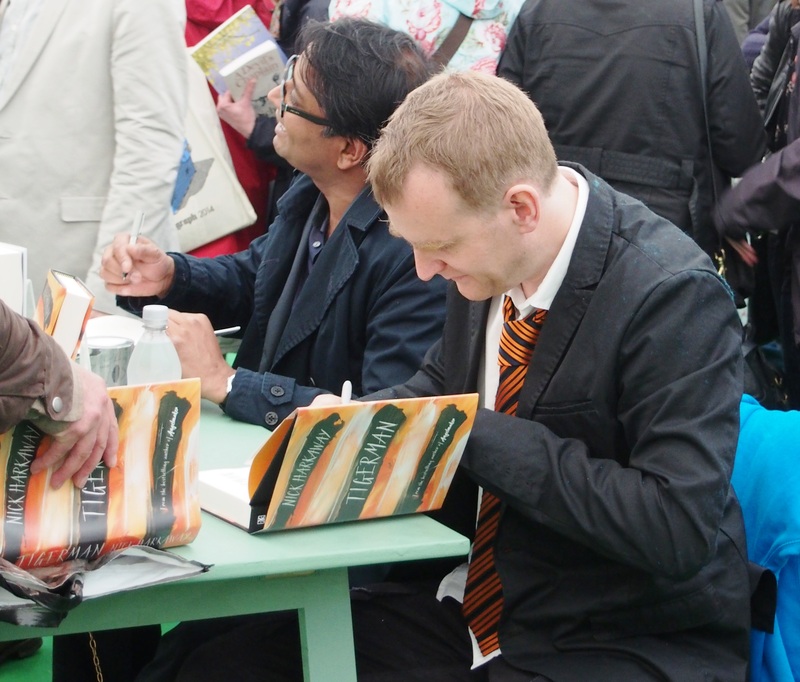 Patrick Ness – also really lovely person, he was really chuffed to sign a ‘well read book’. John Irving – one of my absolute favourite authors. Sebastian Faulks – amazing speaker with no notes whatsoever! Cassandra Clare – really interesting on the subject of turning her books into a movie. Simon Mayo – fantastic talking to children! Mark Haddon – very different. Plus some great comedians and cultural figures like Tim Minchin, Mark Watson, Michael Vaughan and Rob Lowe. I love that these brilliant and intelligent people make the effort to come to little old Hay-on-Wye in the middle of nowhere to talk to book lovers from rural areas! This year I’m particularly looking forward to seeing Stephen Fry talking about Shakespeare; Benedict Cumberbatch reading letters; Cassandra Clare signing copies of the last in the Mortal Instruments series before it goes on sale; and Ian McEwan and Joshua Ferris talking about their latest books. Can’t wait! I’ll be sure to blog and let you know what exciting things we see!